Get a taste of London's edible gardens by dropping in to Maryon Park Community Garden in Charlton, one of Capital Growth’s flagship gardens, from 10am to 4pm. • Tours of the Garden and Forest School. • Display of photos from the 1966 cult film Blow Up that was shot in Maryon Park. • Activities for children: Making bird feeders. In the Community Garden Forest School area there will be a free Family Outdoor Art Workshop from 2pm to 3pm, lad by Simon Woodward from the Community Outdoor Art Therapy Service. How to find the Community Garden: Enter Maryon Park from the main entrance in Maryon Road, follow the path to the left past the park lodge and find the Community Garden at the end of the park perimeter fence. Look out for the signs and bunting. Big Dig Day celebrates the start of the growing season and encourages people to visit their local Capital Growth-supported Community Garden. Maryon Park Community Garden, one of Capital Growth’s flagship gardens are taking part and have a ‘Drop-in Open Day’ on Saturday 21st April from 10.00 am to 4.00 pm. The Community Garden provides organic growing plots for local people, a Forest School space for primary schools and volunteer opportunities. On Saturday visitors can learn more about the Community Garden, enjoy tours and talks about the Garden and the historic Maryon Park, the location of the 1960s film Blow-Up. There will be refreshments including a pizza oven, children’s activities, a plant sale, and a fundraising stall. Visitors can join in with gardening activities or join the waiting list for a plot. There will be family events: ‘PJ the Magical Clown’ at 1pm and Family Outdoor Art at 2pm. Maryon Park Community Garden is a not-for- profit voluntary project situated in the former council plant nursery in Maryon Park. Maryon Park Community Garden is in Maryon Park, situated on the site of the old plant nursery. Follow the signs from the main park gate by the Park Lodge, 126, Maryon Road, Charlton, SE7 8DH. Walk past the Park Lodge following the perimeter path to the left and find the Community Garden entrance at the end of the park fencing. Look out for the signs and bunting. There will also be a pub quiz in aid of the community garden at the White Swan in Charlton Village on Monday 30 April, beginning at 7.30pm. Charlton Parkside Community Hub and Valley Hill Community Hub have been in touch about Picnic in the Park in Maryon Park this Sunday, 18 June from 2-6pm. We have been very busy co-ordinating all the lovely people and groups who are taking part in this event and here is your reminder to get your picnic baskets out and ready! – Local group stalls including Riverwood, who make wonderful things out of reclaimed wood, Riding for the Disabled, Friends of Charlton Lido, the WI, Bexley and Greenwich Hospice, Friends of Maryon Parks, St Thomas Church & The Tuesday Group, Thorntree PTA… and possibly more. Entry is free, but we will be doing a bucket rattle to help with the costs of the publicity, incidentals, insurances and licenses over and above any funding we might receive. Anything left once we have covered costs will be donated to the St Thomas Church Nightshelter project. Charlton Champion reader Jon Kingsbury has been in touch about a petition he’s launched to get a defibrillator installed in Maryon Park. It’s wonderful that the park is home to communities from all across the area who play sports throughout the year. Football, tennis and, during the Summer, the park hosts a number of school sports days. Installing a defibrillator by the public toilets in the park would provide people with the means to save a life should someone have a cardiac arrest. Waiting for an ambulance to arrive may be too late. Councils across the UK are beginning to install these life-saving devices, which can be unlocked and used after a 999 call. They are designed to be used by members of the public and cannot give a pulse to someone who doesn’t need it. We want our local park to be as safe as possible for our communities and families. Please join our campaign. Here’s a video from London Ambulance Service which explains how they work. It seems like a good use for some of the ward budget money (in this case, Woolwich Riverside ward) that Greenwich Council started to make available last year. You can sign the petition here – and it’s something to think about for the area’s other parks, too. 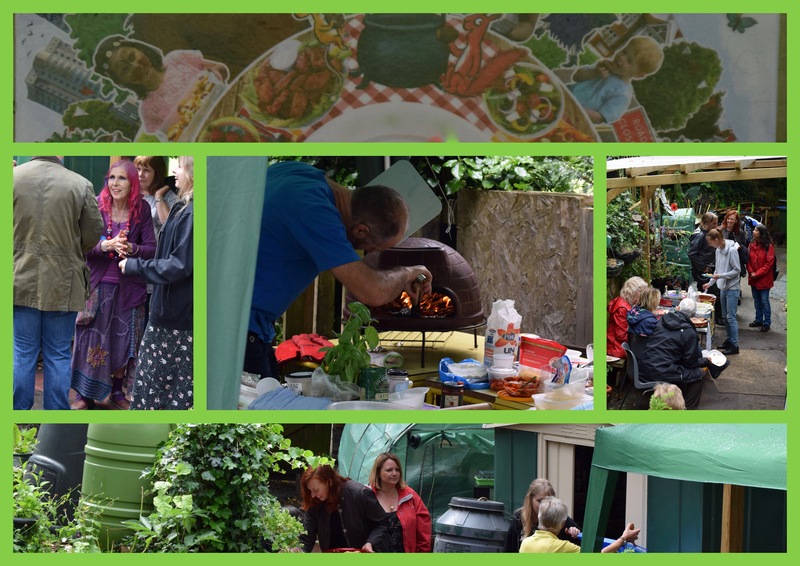 Maryon Park Community Garden has been chosen to take part in the Capital Growth Grow Well, Feel Well Open Day on Saturday 9th July, from 1pm to 4pm. • Drop-in Tours and Talks on the health benefits of organic gardening and growing your own food. • Refreshments including herb teas. To find the garden, which is behind the park fencing, enter Maryon Park via the main entrance on Maryon Road, SE7 8DH and walk past the Park Lodge or walk south through the park from the Woolwich Road entrances.